There are many reasons why a grandparent may need to care for a grandchild for an extended period of time in Florida. Obtaining a Florida court order placing the child in the grandparent’s custody would allow the grandparents to obtain medical attention for the child, the right to enroll the child in school and the right to apply for State and Federal benefits on behalf of the child. A grandparent who cares for their grandchild or who has the consent of the child’s parents may petition a Jacksonville (Duval County) Florida court for temporary relative custody. Temporary Relative Custody in Florida may be considered when a parent is unable to care for the child due to drug or alcohol abuse, incarceration, financial instability, mental health issues, responsibilities related to work or the military. A Judge will award custody to the grandparent if it is in the child’s best interest and the parents do not object. If the parents do object, then the court must make a finding of abuse, neglect or abandonment by the parents before granting custody. The judge may also grant visitation rights to the parents, and order the parents to pay child support to the grandparent. The order may be terminated if either parent petitions the court to do so, if the judge finds that the parent is a fit parent or the grandparents consent to the termination of the order. Temporary relative custody of a minor child may also be granted to other Jacksonville adult family members such as an aunt, uncle, sibling or first cousin. 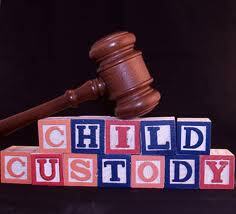 For more information on this topic, see Florida State 751- Temporary Custody of Minor Children by Extended Family.